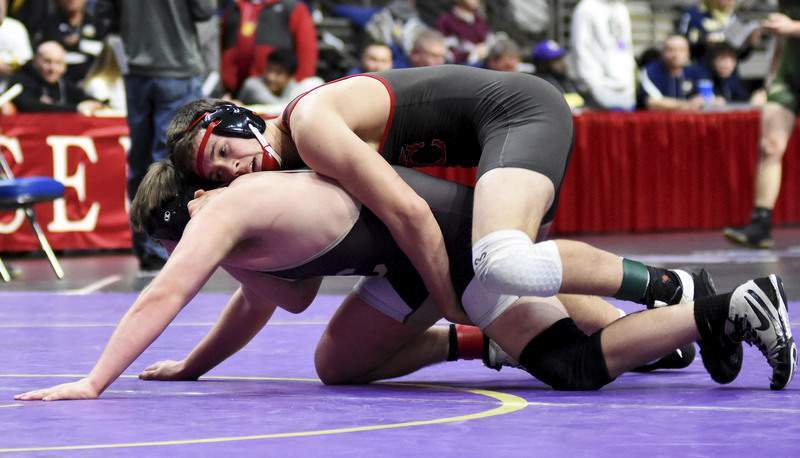 Katie Fyfe | The Journal Gazette South Adams freshman AJ Dull and Central Noble senior Tanner Schoeff wrestle in the 132 weight class during the IHSSA Semi-State Wrestling Tournament at the Coliseum on Saturday. 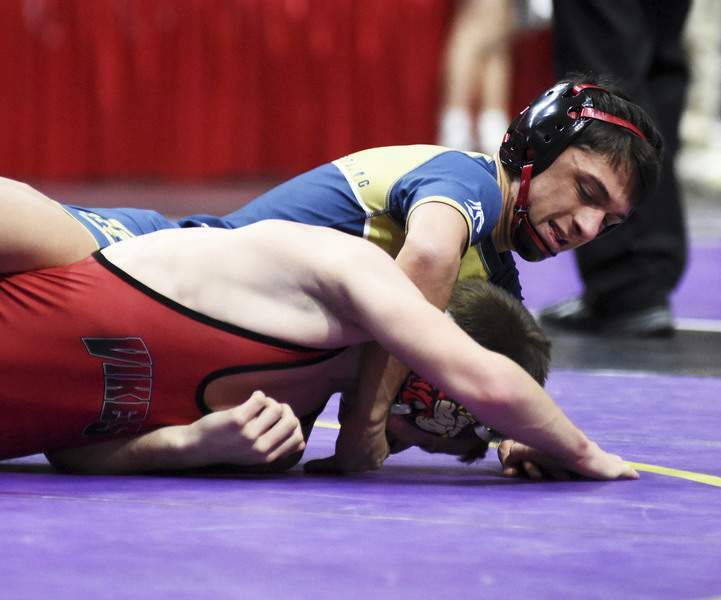 Katie Fyfe | The Journal Gazette Fort Wayne Bishop Dwenger sophmore Michael Tippmann and Eastern senior Macaiah White wrestle in the 132 weight class during the IHSAA Semi-State Wrestling Tournament at the Coliseum on Saturday. 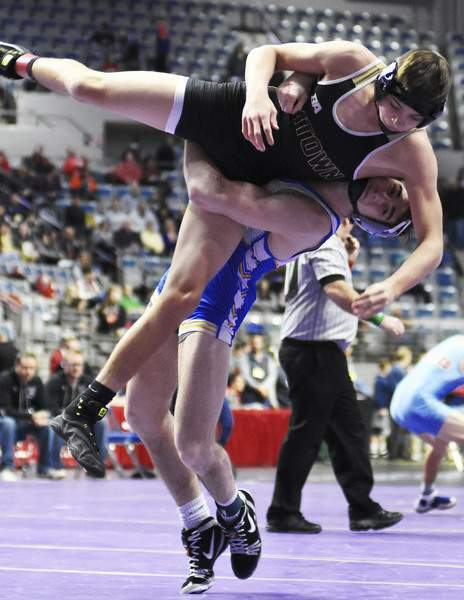 Katie Fyfe | The Journal Gazette Jimtown freshman Landon Buchanan gets picked up and thrown down by Homestead senior Jake Jenkins in the 145 weight class during the IHSAA Semi-State Wrestling Tournament at the Coliseum on Saturday. 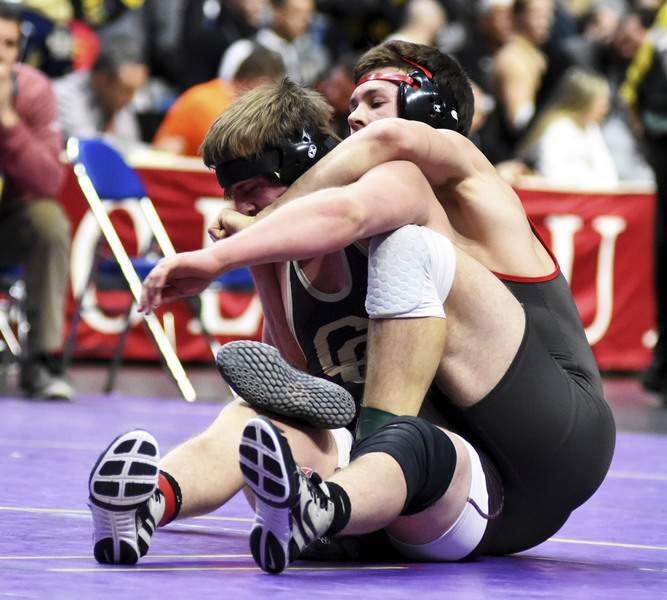 Katie Fyfe | The Journal Gazette Adams Central senior Parker Bates and Columbia City junior Carter Wireman wrestle in the 160 weight class during the IHSAA Semi-State Wrestling Tournament at the Coliseum on Saturday. 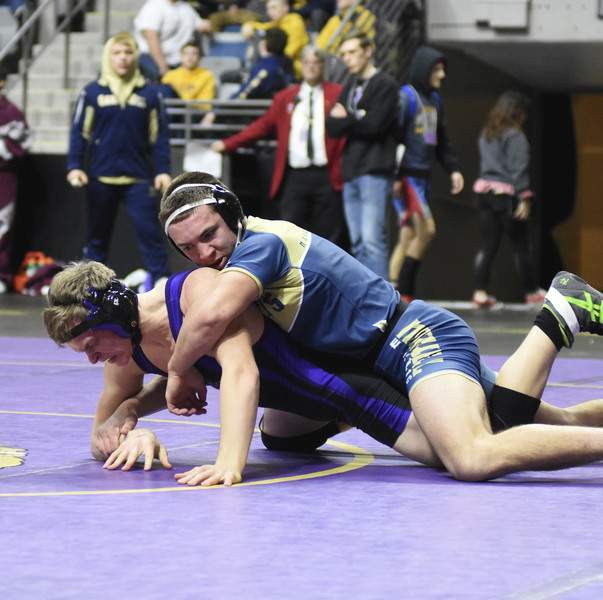 Katie Fyfe | The Journal Gazette Norwell junior Sam Walker wrestles against Leo senior Jacob Fletcher in the 160 weight class during the IHSAA Semi-State Wrestling Tournament at the Coliseum on Saturday. 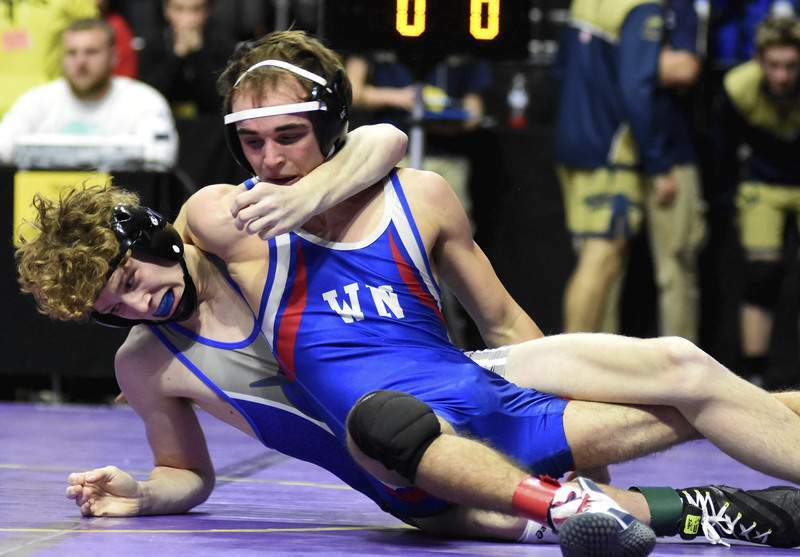 Katie Fyfe | The Journal Gazette Western freshman Hayden Shepherd wrestles against Norwell junior Tonner Johnson in the 120 weight class during the IHSSA Semi-State Wrestling Tournament at the Coliseum on Saturday. 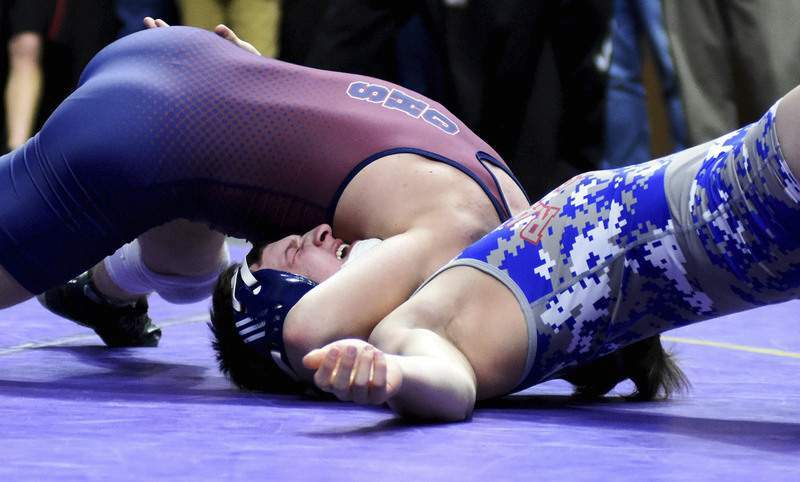 Katie Fyfe | The Journal Gazette Carroll sophmore Evan Ulrick wrestles against West Noble junior Kyler Brown in the 120 weight class during the IHSSA Semi-State Wrestling Tournament at the Coliseum on Saturday. Katie Fyfe | The Journal Gazette Norwell senior Kade Zadylak wrestles against Huntington North senior Darryn Kuhl in the 120 weight class during the IHSSA Semi-State Wrestling Tournament at the Coliseum on Saturday. 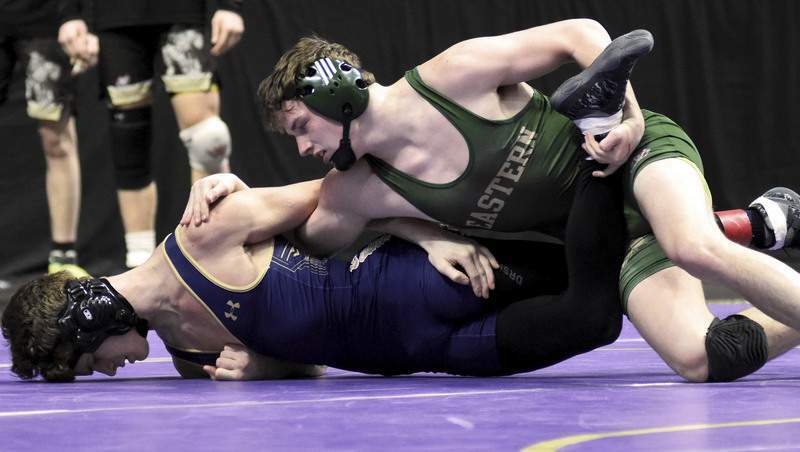 New Haven High School played host for the IHSAA Semi-State Wrestling Tournament on Saturday at the Coliseum.